For faster communication with friends and family, Short Messaging Service (SMS) is now more popular to everyone especially to youth. Normally we send SMS from mobile to mobile with cheap cost, but you might be glad to know that Google has launched Short Messaging Service (SMS) for free. 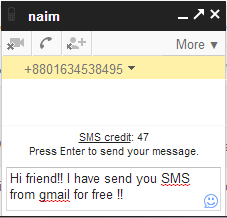 Yes guys, now you can send SMS to your friend’s mobile via Gmail Account for absolutely free. Bangladeshi people can also send SMS to Bangladeshi mobile number for free. However I would not make you bore anymore, now I would like to share you the step by step procedure for sending SMS. First of all you need a Gmail Account, if you have then it's ok but if not then you have to create an account from here. Now log in your gmail account. 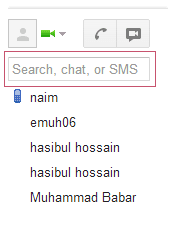 After log in your account you will see a little "Search, chat or SMS" box on the left side of the Gmail home page. The box is like the following image. Now type there your contacts mobile number with country code and hit Enter button. A pop up window will appear like the following image. Write there your contact name and click on Save. Then you will see a small pop up at the bottom, as shown bellow. Now just type your message on the text field and hit Enter. You are done!! your SMS will be send within few second. This free Short Messaging Service is supported by the following operators..
50 SMS/day: Dear guys, you can send 50 SMS per day via gmail but if anyone reply your SMS then you will get 5 SMS credit so that you can send 5 SMS extra. Credit Refill late: When you spend your 50 credit then you might wait 24 hours. You can send SMS to Airtel, Banglalink, Robi and Citycell mobile number. you can't send SMS to GP, Teletalk mobile number. 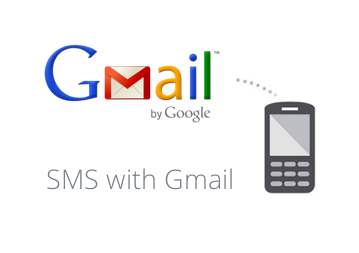 Dear guys, you are now able to send SMS to any country's number like Bangladeshi number from Gmail account without spending any money. Hope you will always with us. I didnot find the picture.Can you you please attach full gmail pictue where i can find it.